2018 Christmas And Holiday At The White House More than 40 red topiary trees line the East arcade as part of the holiday decorations at the White House in Washington, DC. 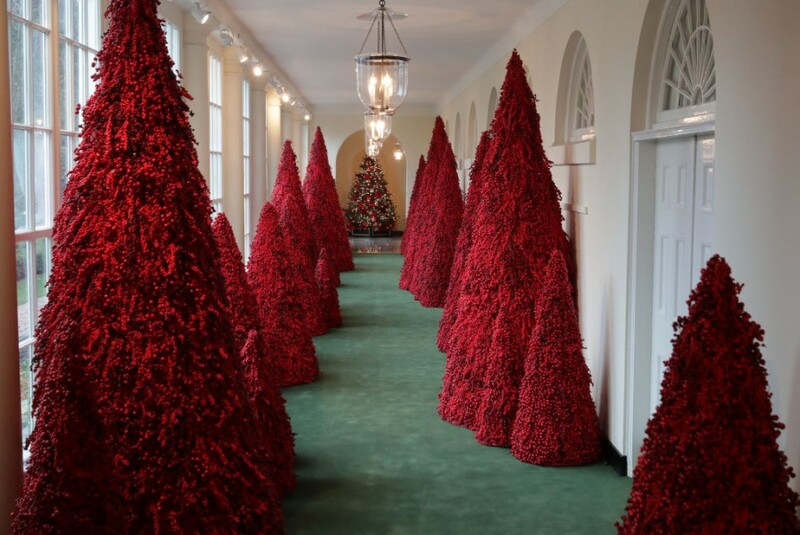 The 2018 theme of the White House holiday decorations is 'American Treasures,' and features patriotic displays highlighting the country's 'unique heritage.' The White House expects to host 100 open houses and more than 30,000 guests who will tour the topiary trees, architectural models of major U.S. cities, the Gold Star family tree and national monuments in gingerbread.